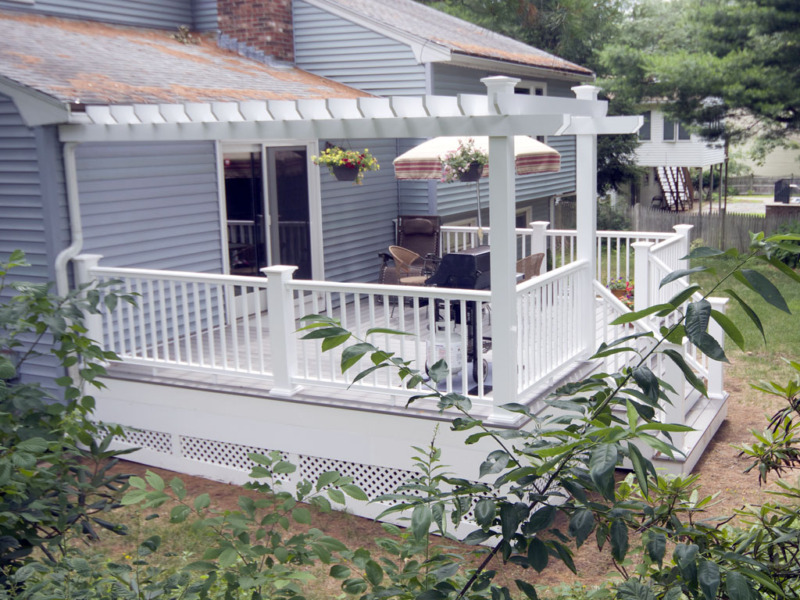 The decks made the transformation from the house to the yard "seamless." 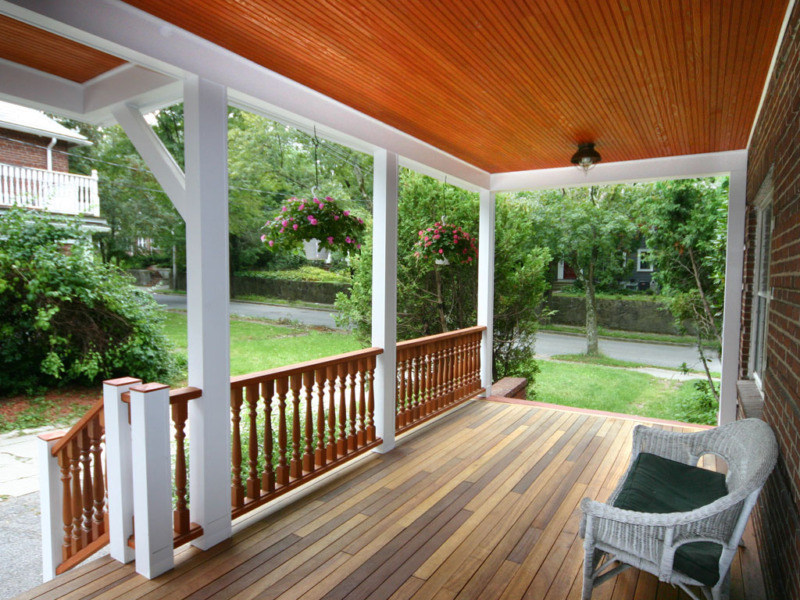 They enhanced both the home and the landscaping as well as holding their own. 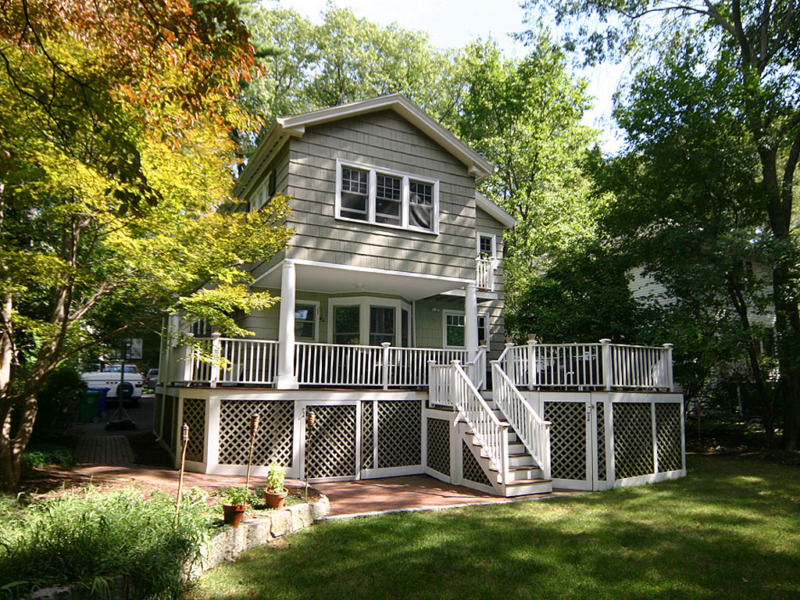 My clients had been dreaming about this deck for years. Amazing what can happen when you're not paying for tuition anymore! 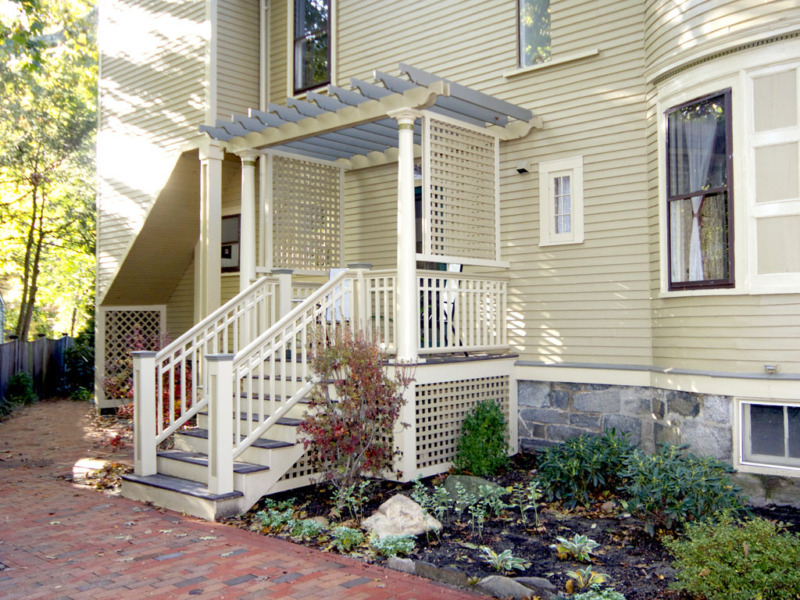 The original porch was an ugly cement slab with poured cement steps. 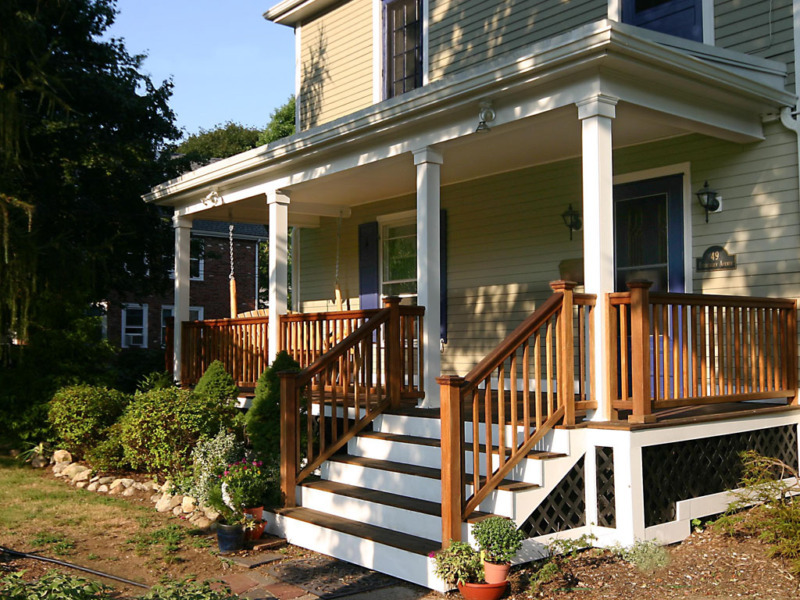 I think mahogany and clean white trim looks much better! Some of you may remember the Winter of 11' as constant snow, ice, and freezing cold. I remember it as all that and building this deck. 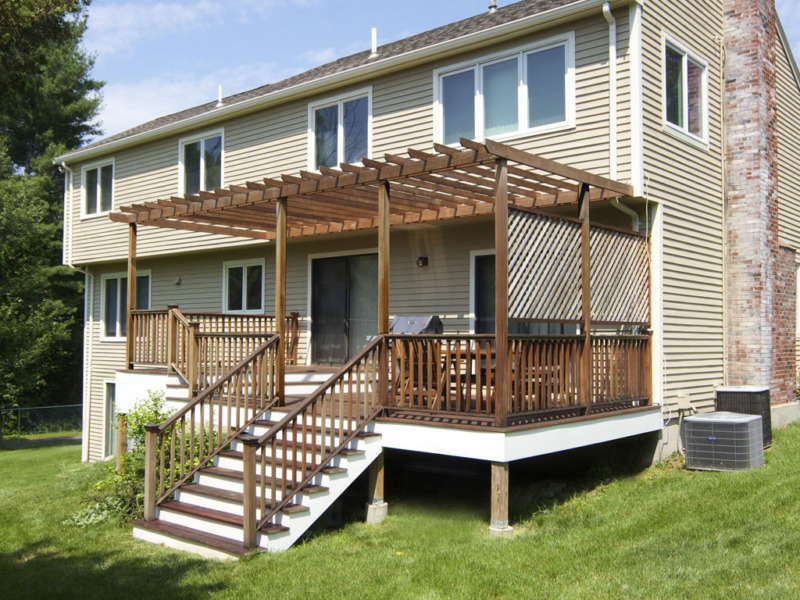 Our client asked us to build a simple deck that was durable and easy to maintain.